Pleasantly surprised! This thing really worked. Will hang one every year. I have bought these in the past, they work very well and I will continue buying them as needed. Every summer we get uninvited guest . We always have to call the bee keeper. And, they are expensive not only once, we always have to call them back. I order wasp scare hive O.M.G. it works. I already order more. It is and excellent product. I recommend it to anyone. Will purchase again. Please continue to carry this product in your catalog. A total waste of money, a horrible useless product. I put one up, but it just blows around in the breeze, and it was made very cheaply. It looks like the picture, but is too light weight. I wish they had a no star rating. And why do I have to give my e-mail address?? So people can bug me? They are Garbage, just opening their package rips them and makes them unusable. Thank you for your review. We are sorry to hear the Wasp Scare was received defective. Please contact our customer service by email at mileskimballcsr@silverstarbrands.com or by phone at 1-800-255-4590 and we can assist you further. We apologize for any inconvenience this may have caused. Trying to keep the birds & critters out of my garden, and these two items really do the trick! It works1.I've had them for a few years.,To extend their life,I spray them with polyurethane , inside and out. We live in out in the country and bees and wasps are a big problem. I'm hoping this will take care of the wasps. I used to have this to scare the wasp and it is really helps. Lots of wasps. Counting on this to work. Have used these wasp scare hives before. They work! 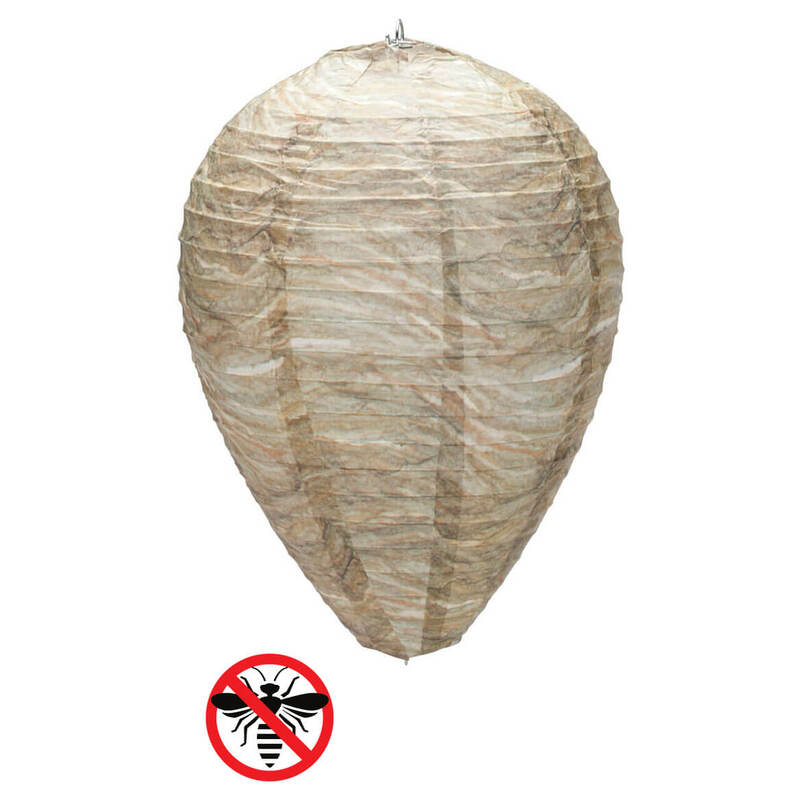 No wasps or wasp nests on my property! I love a way to beat these wasp that won't harm my dogs. I'm looking forward to receiving it! Hoping this deters a location wasps have adopted over the last 5 years. Does the paper disintegrate if it gets wet? BEST ANSWER: Thank you for your question. The paper is made for out door weather. We hope this information will be of help to you. We have two hanging inside our double garage so they don’t get wet. 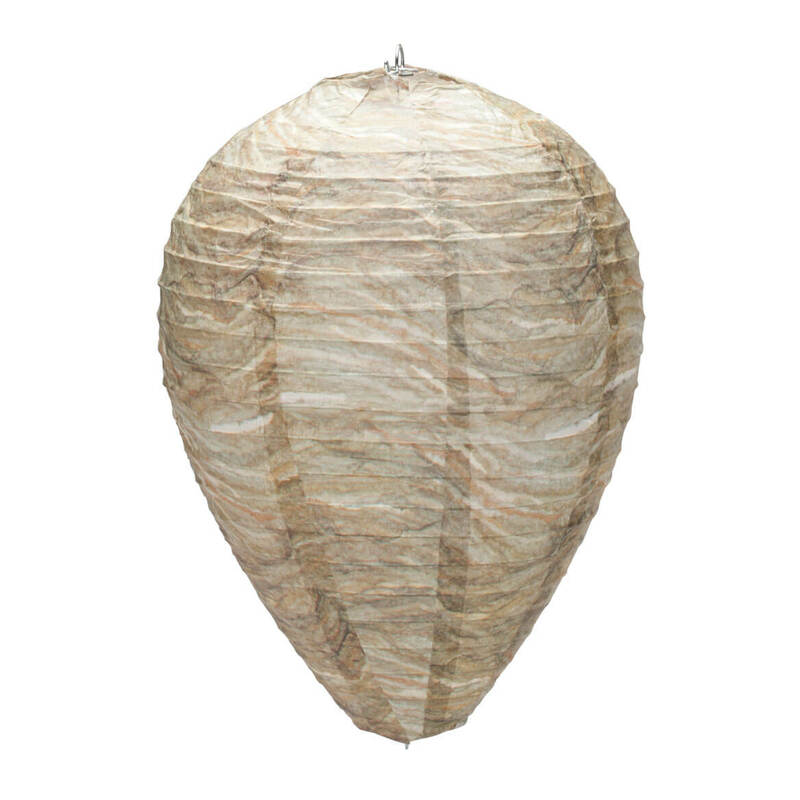 These are very effective at keeping wasps away! Does the wasp scare hive also work on yellow jackets? BEST ANSWER: This is hard to answer! We have so many wasps and yellow jackets here, so I hung one on the patio and one near an outdoor aviary. Who knows which ones were scared away, and which ones didn't care! I MAY have had fewer of these pests on the patio...., but the critters were building their nests inside of my bird's nests!! I think it's worth a try...that and a lot of wasp spray! !